It’s a tough world in publishing these days. How do you decide which way to turn? Hold out for the big publishing contract that will likely never happen and doesn’t have the advantages it once did? Self publish and do all the work yourself? The idea of self publishing is a viable consideration, but there’s something about the credibility that comes with signing with a publisher. Not to mention that a publisher takes care of working out a cover, formatting, etc. etc. etc.! Small indie publishers can offer so much to a new author these days that big publishing houses don’t. Namely, individual attention and a bigger percentage in royalties. I published my first book with a small indie publisher. I’m proud of the effort I put into that first book, and the outcome. I recently signed with a different indie publisher based in Arkansas for my future books. I’m so excited that they were interested in my writing. Duke and Kimberly Pennell, who formed Pen-L Publishing just a couple of years ago, already have 75 or so titles under their belt. I opted to sign on with them mainly because of the integrity so evident in the two of them, but also because of their love of the craft and their dedication to creating a good product. The choice was very personal to me. My writing is my heart. What I create with my voice is a part of me. I want to know that I can trust and feel proud of my choice in a publisher. In November, Pen-L will publish A Lovely Murder, sequel to my first novel A Lovely County. I’m proud to say that A Lovely Murder took The President’s Award and 1st Place in the Unpublished Manuscript contest at Ozark Writers League late last year, so I can’t wait to see it in print. Pen-L also graciously contracted to publish two more of my novels next year. A Lovely Grave is the third in the mystery series about small-town reporter Danni Edens. A fourth novel has yet to be titled. This entry was posted in Writing and tagged A Lovely County, A Lovely Murder, Indie Publisher, integrity in publishing, love of writing, Pen-L Publishing, signing a publishing contract by Lori Ericson. Bookmark the permalink. Congrats on your signing – to you AND to Pen-L Publishing. I have also signed with PLP for a second book. I have found they do a quality job, are ethical with their accounting, and strive to work for you as author. Congrats to Lori AND Pen-L Publishing with the signing. 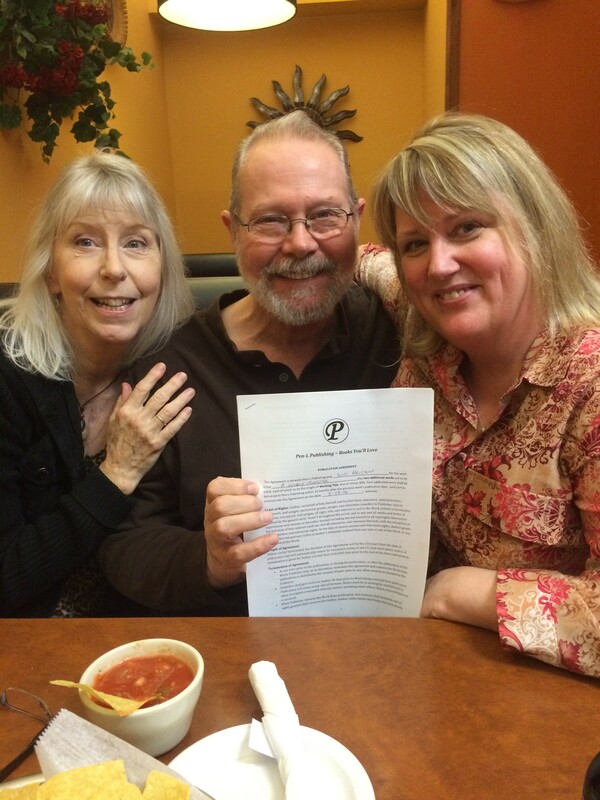 A quality product, integrity, and love of words prompted me to sign with PLP for a second book. Being among the ranks with such a distinguished author as you, Nancy, is another great reason to be with Pen-L! I agree that small, indie publishers offer huge benefits. Pen-L did a great job formatting mine, both for print and Kindle version. Maybe if I cut back on the time spent blogging, I’d get my second book finished. I’m so excited to be with them. I think it’s a good fit for me and my ambitions for more books.